Hello, I am looking at upgrading my machine to the Rocket Appartamento or the Rancilio Silvia. Which one would be the best option? Not really comparable machines. Rocket is better but its 3 times the price. Sylvia is a SBDU - single boiler, dual use. For milk drinks you need to wait for the boiler to reach steam temperature after pouring the shot, then cool down from steam temperature if you want to make another. You can only do one thing at a time. The plus side is the faster warm-up time from cold. 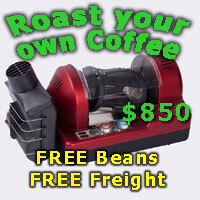 Great for making 1 or 2 coffees at a time, but don’t expect it to manage more than this. Because of the small boiler, they often have issues with temperature stability and therefore shot quality and repeatability. Appartamento is a HX - Heat exchanger. Sure there is still just one boiler inside, but it is completely different. These machines need a good 30 minutes to really warm up the group head, so not great for coffee on demand. However, you can pour coffees one after the other and can steam at the same time as pouring. Nice, speedy, and considered to have better temperature stability and therefore shot quality. Most people have these on a timer to turn on in the morning and avoid getting up earlier! If you are tossing up between the two, the Rocket is of course “better”. If you make one Espresso per day, then the Sylvia may be all you need, but if making coffee for several people, entertaining, or just wanting ‘better’, then go the Rocket. Sounds like you need to do some google research and come back with more specific questions once you have a better idea of machines.